Every year on the full moon day of the Odia month of Jyestha, the Jagannatha triad come out of the temple’s inner sanctum for the annual Snana Jatra. 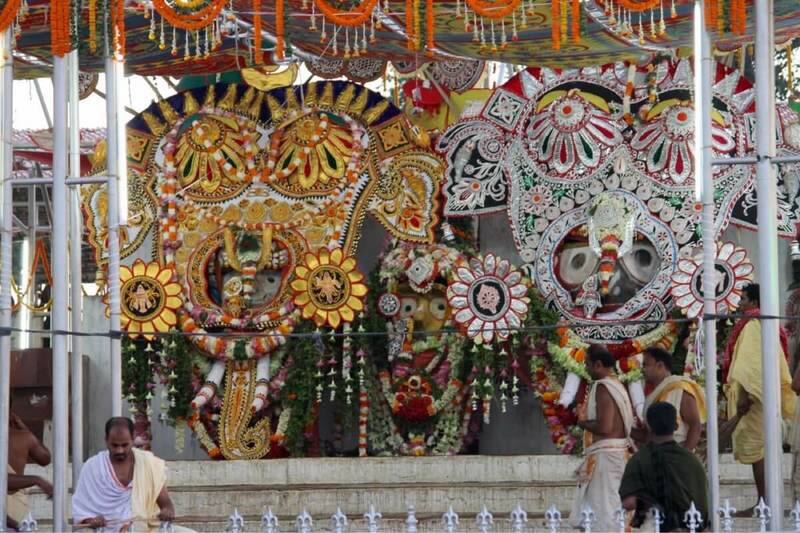 After the ritual bath, the deities are dressed in the Gajanana/Hati Besa, the elephant attire. The story behind this costume has been recounted in the ancient text of Dardhyata Bhakti. The story is still told fondly by members of the Mahaganapatya sect, followers of Ganesha. A sage by the name of Ganapati Bhatta used to live in the land of Karnata (present day Karnataka.) Others say he was from Maharashtra. Whatever that may be, he was an ardent devotee of Ganesha. Being a religious Brahmin, he had read the scriptures thoroughly. One day, as he was turning the pages of the Brahma Purana, he read a line that said, “The Supreme Brahma resides on the Blue Mountain. His sight itself grants Mukti.” When Ganapati realised what this meant, he set out immediately for Puri. On the way, he thought of his foolishness in being blissfully unaware of the God who grants redemption. Walking, he came across a few fellows singing merry songs, with the divine Mahaprasada in their hands. Amazed, Ganapati asked them why they were so elated, to which the leader said, “We are returning from Puri. We’re on our way to our homes after a five day long visit.” This created a doubt in the poor Brahmin’s mind, “How can one return alive after sight of the supreme? Surely this could not be God. After all, the Puranas and scriptures are nothing other than conjured-up tales of human imagination.” Saddened, he turned to walk back. Hesitating, Ganapati again resumed his journey to Puri. 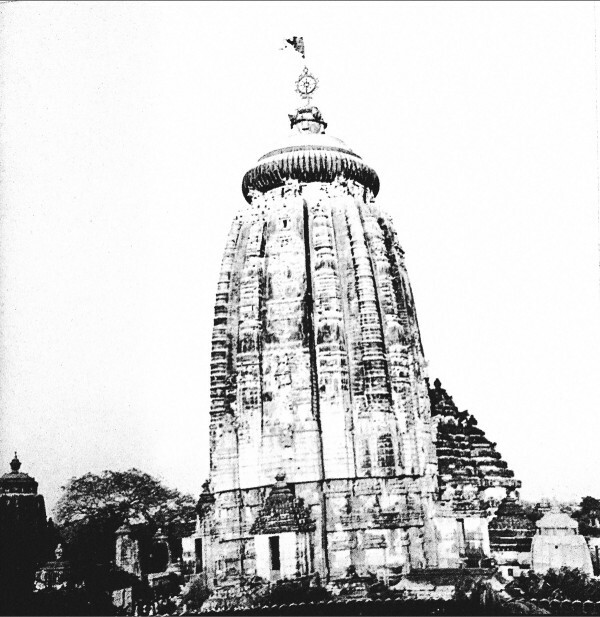 When he reached the Temple of Lord Jagannatha, the people told him that it was a festive occasion. The full-moon day was when the Lord would have his ritual bath. It was Snana Purnima. The Gods had left the sanctum sanctorum and were instead on the Snana Mandapa, a special platform inside the temple for the festival. Ganapati saw him, and again wondered, “Where is the elephant trunk? Where are the tusks? He doesn’t seem to have an elephant head. He is not my Ganesha. He is not God. This is all a huge hoax.” And one more time, the Mudiratha sebayataconvinced him to wait till the evening on Lord Jagannatha’s orders. At your sight, O Lord, my doubts have been shattered. I have gained supreme happiness, now I ask from you- From today every year, on this eve of Debasnana Purnima, you shall dress in the elephant attire. Let this be fulfilled. Let this tale be remembered forever. Ganapati asked the Lord for Mukti, and he was redeeemed from the world instantly. 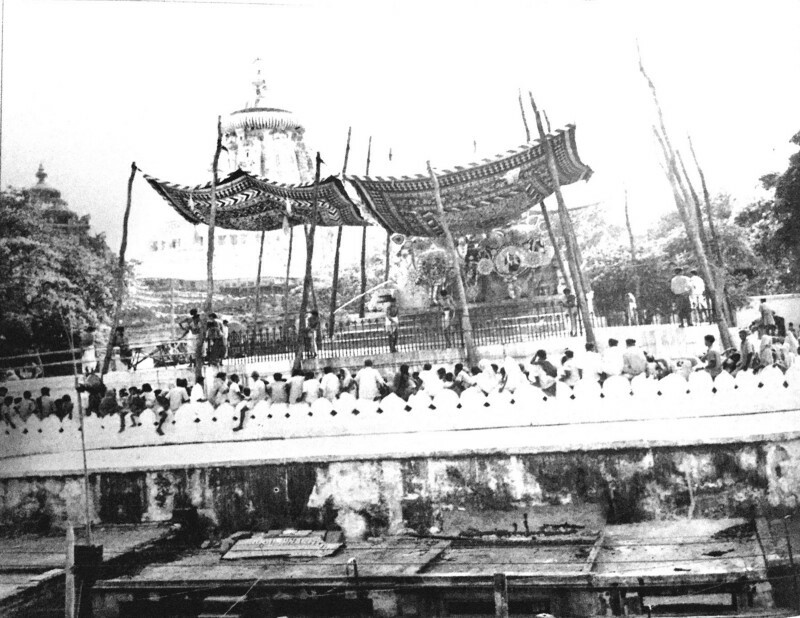 People watched in awe as a flash from his lifeless body flew out and became one with Lord Jagannatha’s idol.